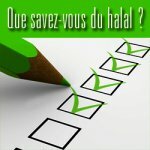 "In fact, as the word ‘halal’, which identifies products that comply with Islamic law, is a reference to a strictly religious term, it cannot be intended for the government to carry out any investigations concerning misleading practices concerning the substantive quality of the "halal" status of products” Yet, at present, four [national French] Ministries are represented on a committee of AFNOR (The French Association for Normalization) which aims to define guidelines for processed halal products, while rejecting the religious conditions expressed by the worship bodies and the Muslim stakeholders of halal. It was announced that the experimental guidelines that were prepared without the participation of a single Muslim were to be published on July 21. Then were published on July 5, and then removed and it was announced that they would be published on September 15, with a comment period. To keep Muslim consumers aware about this attempt to set up a secular halal standard without the agreement of French Muslims, ASIDCOM has posted some key documents. On October 6th, 2016, it received a copy of the letter to AFNOR from the company Sirat, which participated in the French “mirror committee” as part of the CEN halal project that has now disbanded. The letter clearly highlights the strong opposition of Muslim representatives and stakeholders to the interference of AFNOR, with the support of the French secular administration, to have a secular semi-State authority standardize halal at the National level. By mail dated May 27th, 2016, then via a telephone follow-up and finally by e-mail, which you sent us on September 23rd, 2016, you request us to sign a contract of participation for the project on normalization of "FOODSTUFFS - HALAL FOODS" for the year 2016. Above all we wish to thank you for this relaunching and more particularly for your cordial and professional welcome to us within this committee. We also thank all the participants of this commission, you, the AFNOR members, the religious representatives, the manufacturers, the associations, the researchers and the State members. We appreciated a lot the sharing of ideas and the exchanging of experience between the various stakeholders. That said, we notice, however, that you attached to your mail of May 27th, 2016 the detailed plan for the committee for 2016, which was developed on March 8th, 2016, without the participation or at least the consultation of any of the Muslim stakeholders. Did you consider that the Muslim stakeholders have been excluded since September 2015, the ultimatum date quoted in the Muslim stakeholders’ press releasedated April 20th, 2015 for the transfer of the mirror committee, "Foodstuffs Halal", under the authority of the Muslim religious bodies. They are the only competent authorities to deal with these problems which are religious. 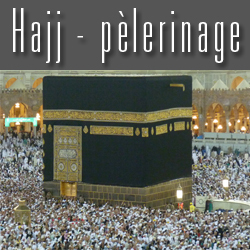 We remind you that our company joined this project in the hope that AFNOR (The FRENCH NATIONAL ORGANIZATION FOR NORMALIZATION) could standardize halal in France according to the religious teaching of Islam, as it is the responsibility of the State to insure the respect for freedom of religion in France. Indeed, as the definition of halal in the marketplace is not clearly identified and protected by an institution recognized by the State, it is then subject to lot of fraud from which the Muslim consumers suffer. The State could with a standard in compliance with the religious teachings assure respect for the Muslim consumers and prevent the fraudulent use of the term halal term. But as one follows the meetings, we were only able to notice powerlessness of the Muslim community and the illegality of AFNOR to guarantee respect for freedom of religion because of how it operated. On the other hand we want to remind you that our company answered, in January, 2016, your on-line consultation request, which had the objective of determining the French position with respect to the proposal of the CEN to disband the "halal food" technical committee. It was then actually disbanded following the consultation, in February, 2016. But, we have never received the report of the meeting of January 27th, 2016, to which you invited us by e-mail on January 22nd, 2016 to formulate the French position. Thus you can understand that we regret the opacity of the procedures undertaken since January, 2016. It is also useful to remind you and to stress that France submitted, in 2013, a negative vote concerning the project to create the CEN technical committee. According to the response of the President of AFNOR to ASIDCOM’s letter, that you shared with members of the committee in March, 2015, and the press release of the AFNOR of July 10th, 2014, the creation of the committee AFNOR "FOODSTUFFS - HALAL FOOD " the creation of the AFNOR committee "FOODSTUFFS - HALAL FOOD” was motivated, on one hand, by the fact that France must accept into its national standards the European standards. And, on the other hand, the French stakeholders wanted to make sure that French interests were represented and defended within the framework of the CEN project. 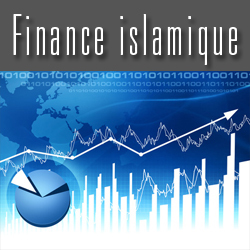 That is why, given that respect for freedom of religion is also an integral part of French interests, our company notified you on many occasions within the meetings and by writing, with the other Muslim stakeholders, the CFCM, the mosques, the recognized certification bodies and association of Muslim consumers’ protection, about the religious requirements for halal. - We did not receive any mail or e-mail informing us that we were deregistered from the normalization committee “FOODSTUFFS - HALAL FOOD" for the year 2016. - The "re-registration" demand for the year 2016 arrived after half of the year had passed. - After thedisbanding of the CEN technical committee, the subject of creating the AFNOR committee becomes null and void. - There was no consultation with all of the interested parties to formulate the needed consensus for the creation of a normalization committee in the halal field at the local level. - The worship representatives, the mosques, and the association of Muslim consumers were not involved in the decision to maintain the committee, after the disbanding of the CEN technical committee. - As member of the Muslim stakeholders’ workgroup on halal program, we learnt that certain Muslim stakeholders were removed from the mailing list of the AFNOR committee (it is indeed also our case), while others continue to receive the reports of its meetings. - Certain members of the Muslim stakeholders’ workgroup on the halal program were excluded from the AFNOR committee. - The religious requirements stated by the Muslim stakeholders were rejected by the AFNOR committee, during its meeting of September 9th, 2015. 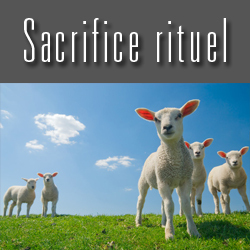 - You did not circulate the letter of the CFCMto the members of the committee in order to inform them about the Muslim worship position regarding the work of normalizing halal. - Unlike the Muslim stakeholders of the other European countries, we were not able to express, through the AFNOR mirror committee, the position of the French Muslim worship community within the framework of the plenary sessions of the CEN technical committee "halal food". It is moreover one of reasons why we had signed the press release of the Muslim stakeholders. Finally, please note that we oppose the attribution of a copyright for the halal standard to AFNOR (FRENCH NATIONAL ORGANIZATION FOR STANDARDIZATION). Being a strictly religious concept which references texts in the Quran and the Sunnah, halal identifies products that correspond to Islamic law. Also, the interpretation of these texts in France is the exclusive domain of the Muslims. The definition of halal and the control of the production of halal foodstuffs are the exclusive domain of Muslims. Otherwise, we do not oppose a resumption of the works of the deceased normalization committee for "FOODSTUFFS - FOOD HALAL" if it bases itself on the entire halal charter approved by our workgroup representing the Muslims of France (producers, CFCM, mosques, recognized Muslim certification bodies and associations of Muslim consumer protection) in the framework, in particular, of the religious requirement that were specified in the press release of April 20th, 2015. We can develop then together on the basis of this charter and respect for the religious needs described in the above-mentioned conditions of the press release for a halal standard proudly representing the French position in Europe with respect for freedom of religion. To assure transparency, all of the stakeholders of our workgroup on the halal charter are copied. Please receive, Madam / sir, my best regards.